Online Black Friday threats, Security breaches, Online banking thefts, System downtime, and many such nightmares are giving sleepless nights to enterprises across the globe. Ensuring performance with loaded security and enhanced experience is a must-have for every competent player in the marketplace. 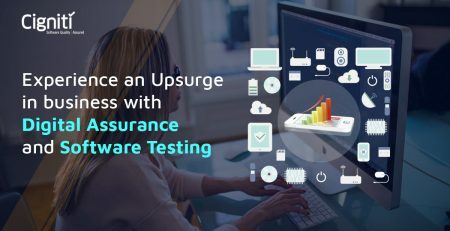 We bring to you a resourceful and loaded list of software testing tools that not only reduce the testing efforts, but also help you get your software/application faster to the market and sustain quality while at speed. Check out this list that covers 100 open-source as well as licensed software testing tools. Most of the tools listed here offer free trial versions to give a chance to the users to check it out before final investment. In this run on software testing tools, we have segmented the tools under 4 categories. Please note that this list does not suggest any particular order or ranking of the tools. Cigniti Technologies is not associated with any of the tool vendors listed in the article. We leverage our partnership with industry leading automation tool vendors to extend added benefits to our clients. We have listed some key tools to execute Performance, Load and Stress Testing on the Web Applications. This ensures the application’s performance under diverse situations and challenging scenarios. It is an Open Source load testing tool, scripted in Java 6+ and can operate across platforms. Apache recently released JMeter ‘v2.11’ that supports all platforms and is used for load testing to analyze and gauge performance of the system/application. Its strong GUI helps build Test Plan quickly and debug processes. It further helps analyze the overall performance under various loads on the server, and the network. This is a load and stress testing tool by Neotys built for Windows, Linux, and Solaris. It is available in English and French, and its latest version 4.2 helps measure, analyze, and improve the performance of the website. While there are multiple users simultaneously accessing the website, the tool helps check the performance of the website under added load to ensure required user experience. It makes the testing process faster, efficient, and repetitive. A load testing tool by HP that is built for Windows and Linux to test the web and other applications effectively. It is available in version 12.0 with multiple languages. The tool helps evaluate the tool’s performance under heavy load, where there is a probability of multiple users accessing the website at the same time. Additionally, it handles numerous protocols for load testing – .NET Record/Replay, Database, DCOM, GUI Virtual Users, Java Record/Replay, Network, Oracle E-Business, Remote Access. LoadUI latest version is available in version 2.7 that is written in Java, JaveFX, and Groovy language and supports diverse platforms. It mainly supports web services and SopaUI 5.0 (a functional testing tool). The latest version has corrected issues that were present in the earlier version of LoadUI. The tool is currently available in Pro version with drag-and-drop interface that helps test the load in a real-time scenario. It is a commercial load testing tool implemented to test websites web applications/services (HTTP web services) that emulates the environment to test the application’s performance under heavy load, given by the tool. It supports Linux, Mac, and Windows. It is a feature-loaded tool that works on web applications/services, cookies, sessions, custom header, etc. It is implemented to test the performance, resilience, stability and scalability of web applications. It simulates multiple users, networks with the site and collects statistics. This helps determine and eliminate performance bottlenecks to ultimately manage traffic and crisis situations. It is an online load testing tool used to test the performance of websites, web and mobile apps, and APIs under load and across various platforms. The tools enables to conduct tests online instead of having an offline platform in place. While the testing process is fast, the user can also repeat the tests easily and within shorter time span. It is a load and stress testing tool that works on Windows and provides an easy and cost-effective way to specifically test business applications websites, mobile websites, web portals, etc. It works on secure HTTPS websites, dynamic content and RIA applications under a data-driven mode. It is a web load testing tool by Quotium Technologies SA, analyzes the application and supports all Windows platforms. It provides easy to use interface and can be opted as an OnDemand hosted solution or an OnPremise application. Web server performance/benchmarking tool from HP Research Labs. Provides a flexible facility for generating various HTTP workloads and measuring server performance. Focus is not on implementing one particular benchmark but on providing a robust, high-performance, extensible tool. Available free as source code in C.
The test automation tool by Telerik tests web and desktop applications across all Windows OS. The tool tests the application’s functionality, performance, and load. Additionally, it offers a plugin for Visual Studio and a solo app to test the cross-browsing issue. Test Studio supports various languages namely, HTML, AJAX, Silverlight, and ASP.NET and can run test across browsers. It is a load testing tool from Agile Load SA to test applications for the Web and Mobile. Its features include automatic recording of test scenarios, distributed load injectors, infrastructure monitoring, and creation of custom test reports for each user profile. Additionally, it provides a script storyboard that provides graphical view of test scenarios that enables customization. The Load injectors can be installed on your network or on the Cloud. Free open-source multi-protocol distributed load testing tool supported by Process-One. Can be used to stress HTTP, WebDAV, SOAP, PostgreSQL, MySQL, LDAP and Jabber/XMPP servers. SSL is also supported. OS monitoring (CPU, memory and network traffic) using SNMP, Munin or Erlang agents on remote servers. XML configuration system; several sessions can be used to simulate different type of users. Dynamic sessions can be described in XML. User think-times and the arrival rate can be randomized using a probability distribution. HTML reports can be generated during the load to view response times measurement, server CPU, etc. Developed in Erlang. It is an Open-Source tool that is used for Load, Performance and Stress testing of Web applications. It is developed in .NET by Alexandru Botez. It creates http scenarios by reporting http requests using Fiddler and repeats them on the basis of the user’s configuration. It can customize a chain of queries and parameters by attaching them to a customized data source with the purpose to emulate non-identical requests. It provides User Interface for handling dynamic parameters and automated cookies. It also integrates resource monitoring for most of the popular Web applications and Database servers. It is an Open-Source framework by Corey Goldberg, implemented for testing web performance and load testing. It enables execution of simultaneous python scripts to generate load on a website/web application. The results for which can be reported in a CSV format along with an HTML report containing statistics and graphs. If you have proficiency with Python, HTTP, then it is recommended to use this tool. It is a Performance/Load/Stress testing tool from Enteros Inc. that can simulate real production workload in the back-end for testing the application’s performance. It is also available in the Amazon EC2, RackSpace or PlatForm Labs cloud environments. Its integrated performance management and root cause analysis system mechanically collect performance metrics across load test infrastructure and implement cross-component connections to detect performance bottlenecks. It is a load testing and regression tool by Xceptance Software Technologies Inc. for load testing performance of Web applications or any other applications. It holds recording capabilities with availability of XLT Cloud Service. It can develop scripts with Script Developer IDE or code all tests in Java using WebDriver. It is a self-service, on-demand, cloud-based load testing tool that can simulate varied user scenarios for testing websites, web applications, mobile apps/services. It is Apache JMeter compatible – pre-configured JMeter environments with up to 144 CPU cores and 500 GB of memory. It enables you to set up tests across locations, access test results, evaluate reports, compare and evaluate against earlier reports on a unitary console. The traffic can be generated using public cloud providers or install an on-premise load generator on your machine and test within the firewall on the internal network. It also provides free tools and resources for tips to optimize website and performance of the applications. It is a web-based load testing tool by CustomerCentrix, LLC and leverages Amazon Web services to scale up on demand for processing power and bandwidth. The load tests for web and mobile can be built using the tool to simulate multiple users with unique logins and purposes. It is a self-service, on-demand and pay-as-you-go service by Neustar that enables you to simulate massive volumes of real browsers that hit the website. It uses Selenium, cloud-based real/simulated browsers, AJAX and Flash support. In its reports it incorporates screen shots of the browsers with errors. It is an Open-source tool by Corey Goldberg that generates simultaneous loads, where you can define test cases in an XML file – specify requests – url, method, body/ payload, etc. It can be verified by matching content to regular expressions with HTTP status codes. It helps monitor and execute test suites from GUI (wxPython), adjust load, agents, intervals, and test duration. It further displays real-time stats and reports errors. It is a load testing app by NRG Global to test websites and other applications that can be accessible from Windows desktop and generates load from the end user’s perspective. It is protocol independent and supports a diverse range of enterprise class applications. It runs from Windows platforms. It is an Open-source tool by Bogdan Damian for load testing web applications and had capabilities to handle AJAX and can generate tests in C#. It is an Open-source tool for stress testing web applications, comprising crawling and exploratory features. Here the user can provide JCrawler a set of URLs to start with and begin crawling from that point, so while going through any URLs it can generate load on the application. The Load parameters (hits/sec) can be configured with central XML file and fire up as many number of threads as required to generate the load constantly. Additionally, the tool is platform independent. The target platform is Windows and the VCloudPerformer, which is a free cloud load testing tool can be used to evaluate the performance, scalability, and load stress capacity of web applications by implementing on-demand load servers on Amazon EC2 cloud. It is an Open-source tool scripted in ‘C’ that simulates load and specific behaviour of thousands of HTTP/HTTPS and FTP/FTPS clients, with its own source IP-address. As against other tools, curl-loader uses real C-written client protocol stacks, namely, HTTP and FTP stacks of libcurl and TLS/SSL of OpenSSL. With this tool you can log activities of each virtual client and the statistics collected comprise, resolution, connection establishment, requests generation, responses generation, errors recorded from the network, TLS/SSL and application (HTTP, FTP) level events and errors. It is a Java-based load testing framework that is available for free under a BSD-style open-source license. It helps synchronize activities within a test script across processes, across machines by using graphical console application. It comes with an evolved plug-in for testing HTTP services and a tool that allows HTTP scripts for recording automatically. It is a load testing tool by Novosoft and its capabilities include IP spoofing, multiple concurrent test cases and holds various testing features for sites with dynamic content and secures pages with HTTPS. It is a stress testing tool that runs on WinXP and comes with free evaluation versions for two virtual users. The capture module provides a development environment that utilizes C# scripting and XML based data. The Control module defines, schedules, and deploys tests, further defining the number of virtual users, etc. The Analysis module evaluates the results and brings reporting capabilities. It is a suite of testing tools for testing Web applications and services integrated within the Microsoft Visual Studio environment. The suite includes Lab Management capabilities and enables testers to script, execute, and mange tests within Visual Studio. It is a cost-effective and entirely web-based load testing tool by OpenDemand and does not require scripting languages and its web-based recorder can capture and translate user actions across the website/web application. Additionally, it can generate up to 1000 simultaneous users with minimum hardware. It is an Open-source Stress/Regression testing tool that supports basic authentication, cookies, HTTP and HTTPS protocols. It enables testing a web server and can configure multiple simultaneous users. With this tool you can stress test a single URL with a particular number of users or stress test multiple URLs concurrently. Developed by Jeffery Fulmer, the tool helps report total transactions, elapsed time, bytes transferred, response time, server response and so on. The tool ‘Open System Testing Architecture’ is a free, Open-source web load/stress testing application that is licensed under the Gnu GPL. It utilizes a spread out software architecture based on CORBA. It is a Java-based multi-platform performance testing and analysis tool by PureLoad Software that comprises ‘Comparer’ and ‘Recorder’ capabilities, enables dynamic data input, and edits/debugs the scenario and generates load for single or distributed sources. It is a Perl API that is used for benchmarking and regression testing and can be used as a foundation for a complete benchmarking and regression testing suite for transaction-based perl sites. It can be used for stress-testing the server while verifying the correct HTTP responses. The Bare-bones Perl script by Lincoln Stein is used for testing the speed, dependability, responsiveness and testing stability of a particular Web server. It can send huge amounts of random data to a server and then evaluate the speed and response time. It is a cost-effective load testing tool from CAI Networks that enables link testing and can simulate up to 1000 clients from a single IP. Further also supports multiple IP addresses with or without aliases. It is built for Windows. It is a load testing tool by Web Performance Inc. that focuses on offering ease to the users and supports all browsers and web servers. It further enables recording and allows the user to view exact bytes flowing between the browser and the server. It does not require scripting. It can automatically tackle variations in session-specific items namely, cookies, usernames, passwords, IP addresses, and much more. It is a collection of load testing, capture/playback, and similar tool from Technovations to enable performance testing of the websites. The modules include WebCorder, Load Director, Report Generator, Batch, Manager and many more. It further enables authentication, SSL, cookies, redirects and records scripts that can be modified manually. It is a tool by Microfocus for load/stress testing web, database, and character-based systems. It supports HTTP, SSL, SOAP, XML, Media streaming that operates across a variety of databases, middleware, and ERP solutions. It is a Performance testing tool by IBM/Rational and offers optional extensions to Seibel applications and SAP solutions. Additionally it supports Windows, Linux, offering high-level detailed views of the tests. It can further run load generators in the cloud and does not require special licenses. It can generate tailored out-of-the-box reports/graphs with drill-down capabilities. It is an enterprise-class load testing tool by Microfocus and can simulate thousands of users working with numerous protocols and across diverse computing environments. It facilitates behaviour predictions for the e-business environment prior to deployment, regardless of the size and complexity. Functionality, behaviour, usability and security of websites/web applications are some rising concerns that are bothering enterprises across sectors. Appropriate testing tools help you eliminate bugs within shorter cycles and get your web application functional and market ready. Most of the bugs occur due to functional issues within the website/web application. Below are some select web functional/regression testing tools for your quick reference. Selenium is an acclaimed and popular automated testing suite amongst testers these lately. It has been designed to support and boost Test Automation for testing the functional aspects of the web applications across a diverse range of browsers and platforms. The suite comprises 4 basic components namely, Selenium IDE, Selenium RC, WebDriver, Selenium Grid. The WebDriver directly communicates with the web browser and uses its native compatibility to automate. It is a web testing framework that tests all web applications across Windows, MacOS, and Linux OS. It is popularly used for web application testing and generates clear and simple tests. It uses browsers that support HTML5 for recording and can run functional tests across Windows, Mac and Linux, and on remote computers. For mobile devices it can run tests on iPhone, iPad, Android and Windows Phone. Additionally, it can simultaneously execute tests across multiple browsers and machines. It is an easy to use open source navigation tool for Windows, MacOS, and Linux OS, used for scripting & testing the PhantomJS and SlimerJS (Gecko) with the help of its useful and valuable functions, methods and syntactic sugar, written in Java script language. Basically, it works for forms, links, page screenshot, remote DOM, events sign-in process, etc. Also, downloads binary and other resources, writes functional test suites and save it in a JUnit XML format. Screenster is an UI based functional and regression testing tool to test web applications and can work across all Windows OS that require all major browsers and Java6 or high. While operating it takes screenshots at every step and compares them to the baseline, enables verification and further provides complete access to Selenium API whenever required. It is a cross-platform free open-source functional testing tool written in Java language for service-oriented architectures (SOA) and representational state transfers (REST). It offers user-friendly interface with multiple features used for API testing that facilitates easy and speedy performance of functional/regression and load testing. Its commercial version (SoapUI Pro) is particularly used to test functionality of the application. It supports all protocols and technologies connected to the particular application. It identifies elements easily and works on applications that include dynamic ids and applications developed by using ExtJS, ZK, Dojo, YUI, etc. It is a cross-platform web application testing tool and its latest version is 2.1 that is developed in C# language. With influence of Watir, Watin was used to test a web application that was written in .Net in December 2005. Since then, it has now become a user-friendly and stable framework with added functionality and supports all major HTML elements and dialogs. It works across Internet Explorer 6, 7, 8, 9 and FireFox 2 and 3. It is an open-source (BSD) cross-platform testing tool that is easy to use and offers flexible automation tool with Ruby libraries for web browser automation. Though it is loaded Ruby libraries, it also supports application scripted in any language and enables you to link with databases, export XML files, read files and spreadsheets, and synchronize code as reusable libraries. It works across Internet Explorer, Firefox, Chrome, Opera and Safari browsers in the same ways. HP’s LeanFT tool is a robust and resourceful functional testing solution built particularly for continuous testing and continuous integration. It is used for functional, regression, service testing, and helps developers & testers to collaborate effectively in building high-quality software/applications. The tool automates testing with an in-built, visual user experience that ties manual, automated, and framework-based testing together in one IDE. It further helps reduce costs and complexities related to the functional testing process to build continuous quality. LeanFT helps you automate user actions on web or client based applications. It creates and executes tests on Mac, Linux or Windows platforms. It is considered to be a developer friendly framework that helps create robust and reusable Selenium tests with its tools – Object Identification Center and Objects locators and utilities. The tool if implemented effectively can build continuous quality and save costs. It is a Windows based GUI testing tool by Ranorex GmbH for testing desktop, web and mobile based applications that can handle testing for any dynamic GUI application. It tests functionality of the application that involves both the tester and developer. This encourages reliable and distributed testing to detect bugs efficiently. It also supports technologies, namely, .NET, Winforms, WPF, Java, SAP, HTML5, Flash, Flex, Silverlight, iOS, Android, Windows Apps (Native/Hybrid), etc. It can be used by bigger organizations and small testing teams too. Financial services and the banking sector has been an all-time victim of security breaches, compromising massive sensitive user data. However, financial services are a must-have for everyone. So here we list some Security testing tools for building a robust application for the marketplace. NTOSpider provides full security for your web applications/services, mobile, and RIA applications. It is a Windows based web security tool and importantly it scans your application completely in less time and ensures security to the system, cost-effectively. The tool is an Open-source scanner that checks Ruby on Rails apps for security vulnerabilities, available for Jenkins/Hudson and works on Rails 2.x, 3.x, and 4.x. It methodologically scans Rails application code to identify security issues at every stage. It examines Google’s cache, errors, configuration issues, proprietary information and major security nuggets on the websites. Additionally, it has a good user interface that provides real-time results with the ability to save signature selection and result set. You are not required to have Google API License Key to access the tool, as it runs on across all Windows OS required Microsoft .NET Framework v3.5. It is a cross-platform web application security scanner that detects and reports website/web application vulnerabilities and issues with the security across any website/web app irrespective of the OS or technology it is built on. It is a cross-platform web security scanner scripted by Gordon Lyon founder of hosts and services on a computer network. It delivers required packets to the target machine and scrutinizes the response received. Previously, it was only used for Linux, but it can be now used for Microsoft Windows, BSD variants – Mac OS X, AmigaOS, Solaris, HP-UX, , andSGI IRIX. It is a cross-platform online security project/ community that involves global organizations, educational institutions and individuals that focus on security for web applications by creating free articles, techniques, and tools. It is a security product suite by HP that embeds vulnerability detection, integrates static source code analysis, dynamic runtime analysis, and real-time monitoring to detect and prioritize critical security vulnerabilities. Its Program Trace Analyzer (PTA) finds vulnerabilities that get visible only when the application is running. It integrates QA tests to find vulnerabilities when an application’s functional tests are going on. It is an automated security assessment tool by HP for testing web applications and services. It helps identify known and unknown vulnerabilities and incorporates checks to validate effective web server configuration. It requires Windows and MSIE. It is a tool suit by Rational/IBM that automates security testing for web and mobile applications. It enables defect analysis and recommends techniques to fix detected security loopholes. Its assessment module can be used by auditors and compliance officers to conduct extensive audits and ensure compliance with security standards as well. Considering seamless user experience is key for every brand and every enterprise, getting the right tool in place is indispensable for every tester. These are some tools for your reference. It is a free HTML tool for Apple iMac and Linux facilitates users to view the website displays in IE browsers 5.5 to 11. Besides, it also presents an extensive number of tasks in real time. These services can be executed at a fast paced. Besides, the tool also helps capture various other tasks on the website across browsers and in real time. It is a Windows web browser by Core Services that provides a user-friendly interface, enabling the users to get all functionalities rapidly and easily. It provides a configuration without customizations with focus on speed and efficiency. With the Microsoft ribbon toolbar, the users can easily switch across Internet Explorer versions (5.5 to 9) with a single click. Apart from this it also facilitates compatibility tests. It is a link checking service provider by W3C that is used to links and anchors existing on a website page or across the entire website by using languages; HTML, XHTML or CSS. It is an Open-source test automation framework to test the UI of Android native, Hybrid apps and the mobile. The tests are scripted by using the Selenium 2 client API. Additionally, it can be used on emulators and actual devices. It can also be integrated as node into the Selenium Grid to scale up and test simultaneously. Various gestures are supported by the Advanced User Interactions API. It can further simplify test case development. It is an Open-source tool used to test iOS native, Hybrid, or web apps for the mobile by using the Selenium/Webdriver API. It can also be used as a Selenium grid node that runs tests synchronously within the same architecture as for the web. It is an Open-source iOS integration test framework that automates by leveraging the iOS accessibility attributes. It builds and executes the tests by implementing a standard XCTest testing target. In line with other iOS test tools, it uses undocumented Apple APIs, which is appropriate for testing and integrates with the user’s Xcode project. The tests for KIF are scripted in Objective C.
It is a free online test tool developed by Google that analyzes a URL and informs if the page is mobile-friendly/responsive. Additionally, it reports/defects detected and recommends solutions. It also provides an extensive mobile responsive documentation on the site. The tool developed by NTT Resonant Inc. facilitates a real device test cloud that enables manual and automated testing across multiple real iOS and Android smartphones and tablets. It integrates with Xcode for iOS and Eclipse for Android. Further to each test, the test data from all apps is erased the devices and are automatically re-initialized. Additionally, the tool supports Selenium Webdriver, Jenkins. Real-time Clipboard Synchronization facilitates copy pasting text that has been developed in advance on the user’s computer, or copying text from the iOS device to a local system. It is a device test cloud created by TestObject GmbH that has over 150 devices, mainly Android and some iOS. It provides access to real devices from the user’s browser for manual and automated testing. It also supports Native, web and hybrid apps and offers additional facilities like screenshots, switching over system language to test, supporting testing frameworks that includes Robotium, Espresso and Appium; a REST API, Ant and Gradle plugins. It is an Open-source framework developed by Thoughtworks that is used to write structured text tests by using Cucumber and execute them against the iOS application. It necessitates installation of a Ruby and compiles/links the Frank servicer into the application that is being tested. It has a robust app inspector that can get detailed information from the application on the run. It executes tests on both the Simulator and Device. It is a framework built by Google to test Android apps. It provides a set of Java APIs through the Android SDK Manager that helps build and run app test code, comprising JUnit 4 and functional UI tests. Tests can executed from the Android Studio IDE or from the command line. It also comprises AndroidJUnitRunner: JUnit 4-compatible test runner for Android; Espresso: UI testing framework for white box functional UI testing within an app, and UI Automator: UI testing framework for black box functional UI testing across the devices or applications under test. It is a free command-line tool/program that can run on your emulator or device to generate pseudo-random series of user interactions/transactions, namely, clicks, touches, and system related gestures. Monkey can stress-test applications that are being developed randomly but repeatedly. For instance, if the application crashes or doesn’t perform as expected/respond to system error, the tool will report the error occurred. It is a free tool from Google that offers a Python API for scripting programs, controlling an Android device or an emulator not within the Android code. It can write a Python program that can install an Android application or test package, take screenshots of user interface, and more. It is meant to test applications as well as devices for its functional and framework aspects. Importantly, you can apply one or more test suites across multiple devices or emulators, and it can be extended with Plug-ins. Lint, a tool from the Android Studio is a code scanning tool that can enable the user to easily detect and rectify issues with the structural quality of the code. This is done without running the application or scripting any tests. It has a command-line interface that can easily integrate the tool within the user’s automated testing process. The tool checks the Android project source files to detect bugs and bring in enhancements for efficiency, usability, performance, and security. It is a free open source framework from Xamarin Inc. that enables scripting and running automated Acceptance tests for mobile applications by using Cucumber and Ruby. It is a cross-platform tool that supports Android and iOS native apps, comprising libraries that facilitate test code to interact with Native and Hybrid apps. It provides a locally created, robust object-based scripting environment for simulating and automating actions that an actual user could take via a mobile app on iOS or Android device. Importantly, it provides a test device cloud, offering 1,800+ real devices for testing. Here, the test scripts run concurrently across multiple devices at one time. Test Scripts can be created in Calabash (Ruby) and C# using Xamarin Studio or Visual Studio. The tool can integrate with any CI systems. It is a mobile app test automation runner that is available on the web and enables execution of BDD-style test cases across virtually available emulators, user devices, or across a pool of TestMunk Android and iOS versions of devices. It supports Native and Hybrid apps. It provides over 50 BDD-style TestSteps for both iOS and Android and can extend and script customized TestSteps and uses Ruby. It can initiate and run tests locally on an emulator or a device at no cost. It is a free set of tools developed by Twitter and can be implemented within iOS and Android apps. It enables the user to report detailed information on an application’s crash. It includes details about the devices that the application runs on, like whether it is happening only on the device or on a specific model in the series. It provides ‘Answers kit’ that gives information on critical performance metrics of an app, growth and engagement indicators. It is a free set of tools for managing and reporting iOS/Android app and crowdsourced/beta testing. It needs the Ubertesters SDK, which integrates with multiple frameworks optimized for cross-platform development. Additionally, it can integrate with many third party bug tracking systems or use the incorporated bug tracker. It capabilities also include in-app bug editing, marking, reporting and user feedback. It tracks all testing sessions in real-time sorted by devices or testers. It is a set of tools developed by TestFairy to manage and report iOS/Android app crowdsourced/beta testing. It provides video that shows everything that takes place on the mobile device, comprising detailed internal metrics such as CPU, memory, GPS, logs, and crash reports. It also detects ANRs and alerts when the app shows abnormal results. It is a set of tools created by Microsoft to manage and report iOS/Android/WinPhone/OSX app crowdsourced/beta testing. It integrates the open source HockeyApp SDK for Android, iOS, Mac OS X, Win, Unity, Xamarin and then uploads the app’s build to HockeyApp. It reports metrics presenting which devices were tested, by whom, the app was used for how long, the language tested, and more. It is a suite of Android application testing tools that can be implemented both for test automation and manual testing. It has been developed by Bitbar Inc. Testdroid Enterprise. Testdroid Cloud is an online service that provides thousands of different real Android and iOS devices to run tests. The test runs begin with a device reboot, ensuring that the tests are executed on clean devices with no interference. It is a test automation tool for the mobile that is image-based, low-overhead, for black-box testing. It is the combination of eggPlant Functional and eggOn, the mobile agent that enables to fully test mobile apps on iOS, Android, Windows Phone, BlackBerry, and any other mobiles devices. It is a Test automation tool developed by Maveryx for Android and Java apps. It utilizes ‘GUI Objects Finder’ that recognizes GUI test objects with text while execution of tests. The object search engine supports exactly matching algorithms to identify test objects in the UI, even when there are partial or approximate matching, misspellings and synonyms or in case of change of objects from the time of test creation. It supports JUnit assertion-based verification points, distributed testing, plugin for Eclipse, and even when customized extensions/plugins are created. It is an Android/iOS test automation tool developed by MSys Technologies. Its features comprise Native app and Web test automation, end-to-end automation, etc. The Test cases can be easily created, without any requirement of source code. It is an Open-source source code analysis tool that detects bugs in C, C++, and Objective-C programs. It can be used either as a standalone tool or within Xcode. It is expected to run in tandem with a codebase Build. It is implemented as a C++ library that can be leveraged by other tools and applications. It is an open source unit test framework that customizes Android SDK classes for the user to test Android apps within the JVM at the workstation within seconds. It is a Test automation tool from LogiGear for native/hybrid apps on Android/iOS, and Web, Windows and Java applications. With this the tests can be executed across multiple local devices via USB and Wi-Fi, or on devices hosted by cloud-based mobile testing partners. It provides support for multi-touch gestures, access to the physical device buttons, and command-line execution. Image recognition feature enables testing for standard apps and games with fast, 3D, interactive graphics. Additionally, it supports IE, Firefox, Chrome, Safari, WebView, HTML5, and customized actions can be created using C#, C++, JAVA, or Python. It is an open source test automation framework that can drive native and hybrid iOS and Android mobile apps using the WebDriver JSON wire protocol. It supports a sub-set of the Selenium WebDriver JSON Wire Protocol, and provides extensions for automating mobile gestures like tap, flick, and swipe. In order to automate iOS, it requires XCode and Apple Developer Tools (iPhone simulator SDK, command line tools). For Android automation Android SDK API >= 17 is required. It is a static code scanning tool developed by Checkmarx that provides the ability to detect vulnerable lines of code and enables to fix them, for Android and iOS app source code. Additionally, it is also capable of analyzing other code languages. It is a functional test automation tool from Soasta that brings competencies for multi-touch, gesture-based mobile apps. It can validate tests by leveraging internal variable values and conditionally wait for internal application state changes. It also facilitates testing for any mobile device across any location. The devices can be available in lab, used as part of an external test, or crowd-sourced. It is a mobile application test tool developed by Experitest Ltd. It is built for iOS, Android, Blackberry and WindowsPhone. It is used for both emulators as well as real devices and covers visual testing, functionality testing and speed performance. The test recordings can be done by using real devices, where real device can be plugged into the desktop via USB. It leverages self-learning diagnostic and matches algorithms and a modular self-enhancing image recognition technology. Some other mobile-related tools available include SeeTest Cloud, SeeTest Network Virtualization, Mobile Addon for UFT. It is a Windows GUI test automation framework developed by Ranorex GmbH to test diverse application types comprising mobile (iOS, Android, Windows8 UI) test automation, and mobile web test automation (iOS). It can directly record tests on the device. The IDE comprises test project management, integration of all Ranorex tools (Recorder, Repository, Spy), intuitive code editor, code completion, debugging, and watch monitor. It is an open-source Android test automation framework developed by Renas Reda/Hugo Josefson/Jayway and is available as Java source or jar file. It can integrate with Maven or Ant to execute tests for continuous integration. It also supports Android 1.6 and higher versions. It is a free open-source test automation tool developed by Gorilla Logic for functional test automation for native, mobile, and hybrid iOS and Android apps. It can be used for simulators as well as actual devices. It is a cross platform tool that can run tests interactively or automate completely. It has a Cloud version that provides on-premises solution for mobile app testing across devices, where the authorized users can submit test jobs and run the tests automatically on the target devices. 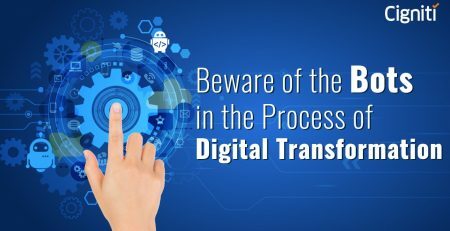 Agile, DevOps, and many modern day software development approaches/concepts are endorsing the relevance of testing in the overall SDLC process. 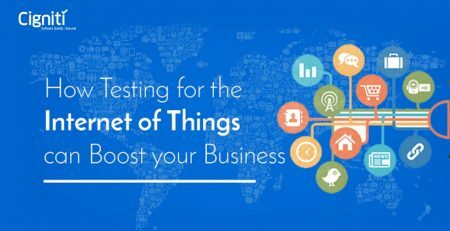 Software testing tools are catalysts and will determine the pace at which Testing takes on the new-age challenges posed by the marketplace.